Solar flares are powerful bursts of radiation that stream out into space after periods of sunspot-associated magnetic activity. Sunspots are surface features that occasional form owing to the strong magnetic field lines that come up from within the Sun and pierce through the solar surface. 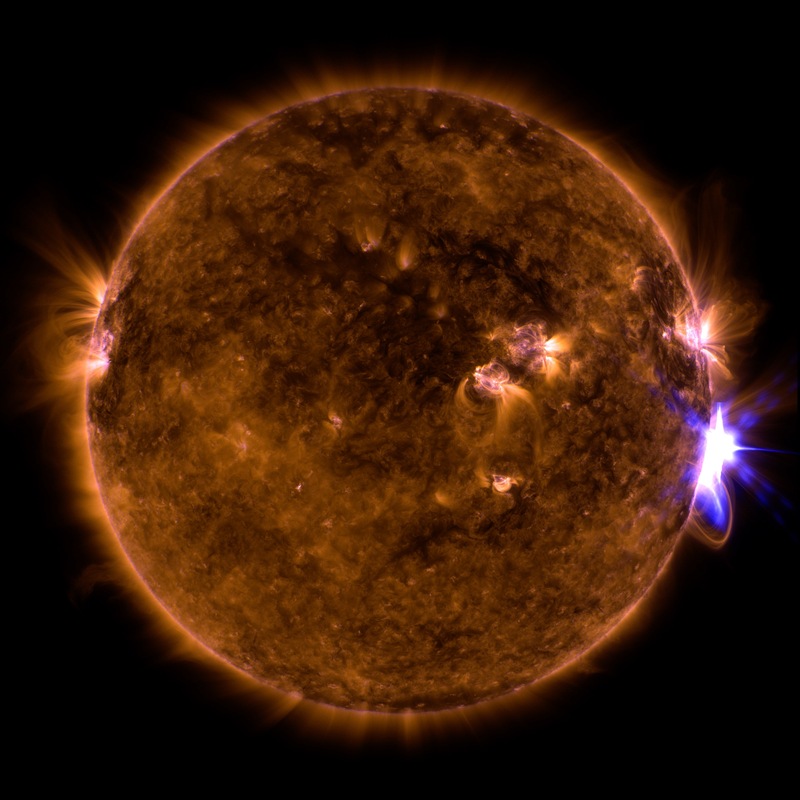 Solar flares are the largest explosive events in the Solar System, producing bright flashes that last anywhere from a few minutes to a few hours. Earth’s atmosphere protects us from most of their harmful rays, but this radiation can disturb GPS, radio, and communications signals, particularly near our planet’s polar regions.